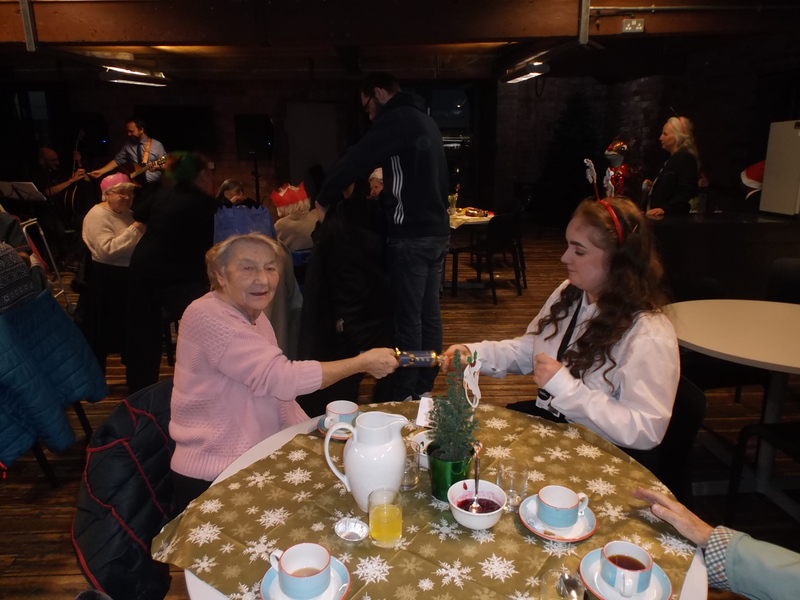 We were delighted to welcome residents from Mersey Parks, our local nursing home, into school last Friday for a festive Christmas lunch. They had a three-course Christmas dinner cooked in school by our catering team, and had an afternoon of activities including playing bingo and listening to students and staff singing. It was a lovely festive afternoon, getting the students involved within the local community. It’s always very positive for our students to have meaningful conversations with people with different experiences and perspectives, and for the older generation to get a look at what’s going on in the school, and what the next generation is up to. We wish them – and all of the other visitors we’ve had this year – the very best for a relaxing, peaceful Christmas. And we’re looking forward to an exciting 2019.